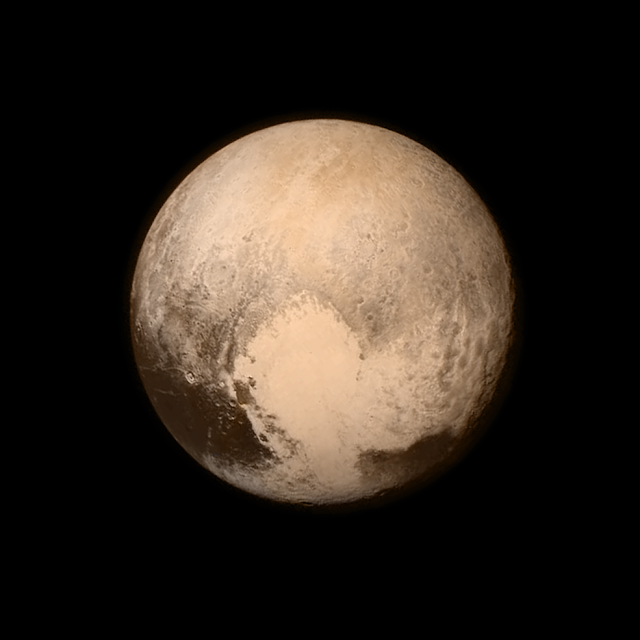 Laurel, Maryland - NASA’s New Horizons spacecraft is at Pluto. After a decade-long journey through our solar system, New Horizons made its closest approach to Pluto Tuesday (July 14, 2015), about 7,750 miles above the surface or roughly the same distance from New York to Mumbai, India – making it the first-ever space mission to explore a world so far from Earth. “I’m delighted at this latest accomplishment by NASA, another first that demonstrates once again how the United States leads the world in space,” said John Holdren, assistant to the President for Science and Technology and director of the White House Office of Science and Technology Policy. 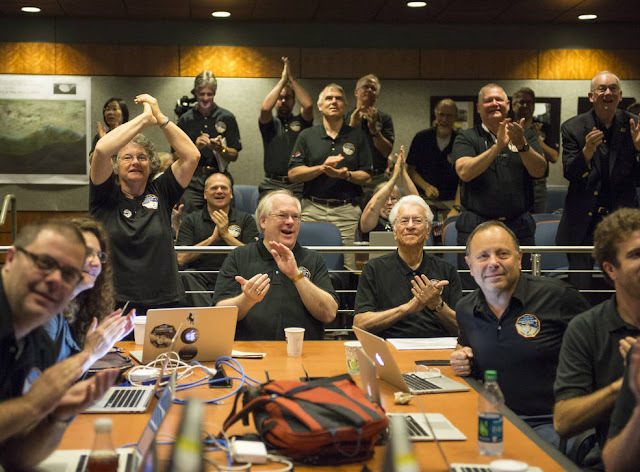 “New Horizons is the latest in a long line of scientific accomplishments at NASA, including multiple missions orbiting and exploring the surface of Mars in advance of human visits still to come; the remarkable Kepler mission to identify Earth-like planets around stars other than our own; and the DSCOVR satellite that soon will be beaming back images of the whole Earth in near real-time from a vantage point a million miles away. As New Horizons completes its flyby of Pluto and continues deeper into the Kuiper Belt, NASA's multifaceted journey of discovery continues." The Pluto story began only a generation ago when young Clyde Tombaugh was tasked to look for Planet X, theorized to exist beyond the orbit of Neptune. He discovered a faint point of light that we now see as a complex and fascinating world. New Horizons’ flyby of the dwarf planet and its five known moons is providing an up-close introduction to the solar system's Kuiper Belt, an outer region populated by icy objects ranging in size from boulders to dwarf planets. Kuiper Belt objects, such as Pluto, preserve evidence about the early formation of the solar system.